If you're always on the go but still want to serve luscious desserts for your family this Christmas, this recipe would be a great treat. 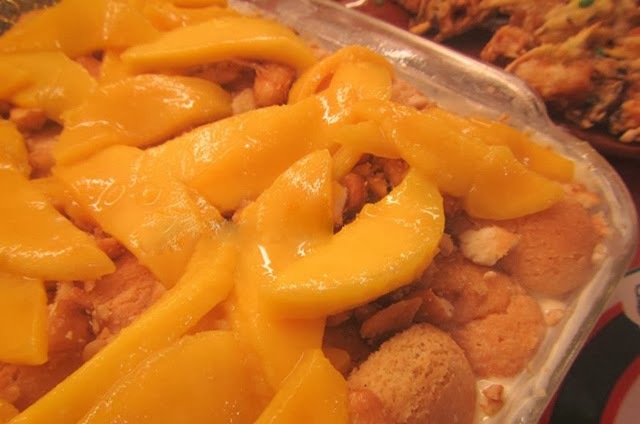 This mango ref cake is really delicious and hard to resist. 2. Slightly dip lady fingers in evaporated milk. 4. Add a layer of mixed condensed milk and cream on top of the lady fingers. 6. Repeat procedure until you reached the desired height. Lastly top with mangoes and pili. 7. Put in a refrigerator, serve cold.